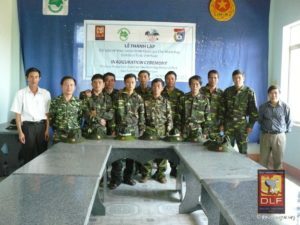 The DLF with the support of United States Fish and Wildlife Service has been active in the training of rangers and local people in protection, monitoring and law enforcement activities. Poaching, hunting and illegal trade are a constant threat to all endangered animals in Vietnam and the douc is no exception. We believe that trained local forces are the best protection for the animals and the forest and the DLF has been actively supporting these trainings since 2007. 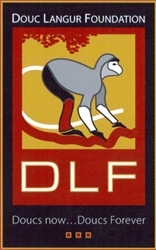 In 2011 the DLF started school education programs in several primary and secondary schools in towns close to Son Tra Nature Reserve. 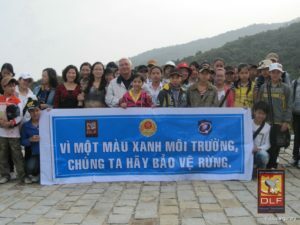 These programs have been very popular with children at various levels and we have expanded our programs to schools in the Central Highlands near Chu Mom Ray National Park. Our programs cover basic concepts of biodiversity along with a healthy dose of conservation and protection of endangered species with the Douc Langur acting as the flagship species.